Nothing is more magical than being able to try something new, especially when it involves a brand that you have been coveting and lusting over for quite some time. 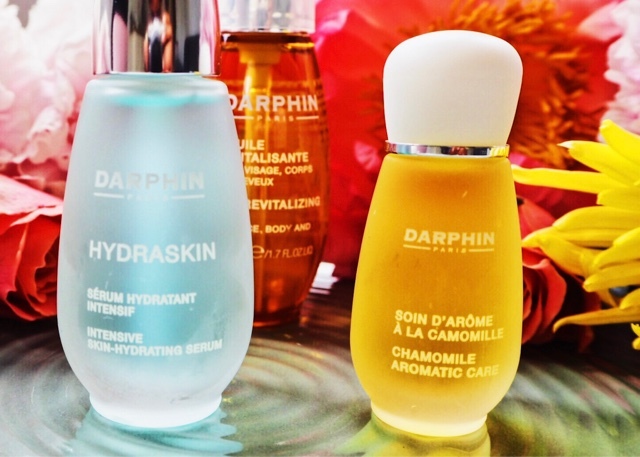 Darphin, every French woman's best kept secret and I have been lucky enough to be sent a beautiful selection of goodies from their vast range, from a cleanser, serum, cream, to oil for your face, body and hair and all from this darling Parisian brand. 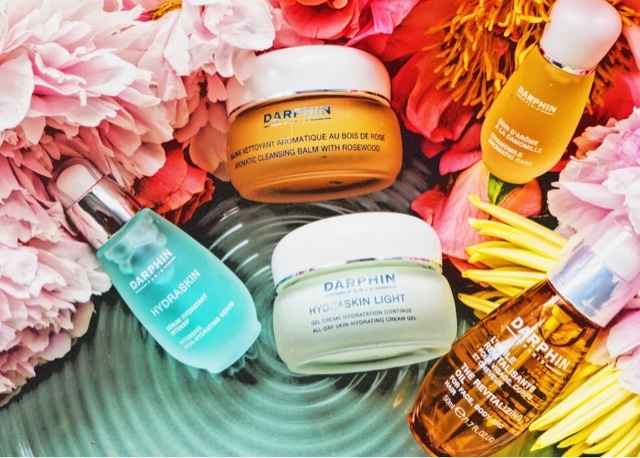 Darphin, a luxurious Parisian skincare brand originated in Paris, more than fifty years ago, all boasting with botanicals and potent, and natural ingredients harvested at their peak, leaving your skin and hair bursting with its beautiful aromatic formulas. First out of the range to try, was the Aromatic Cleansing Balm With Rosewood, I do not use cleansing balms much, but this super rich fragrant balm has totally converted me, God knows why I have not been using a balm, maybe it is me being a tad lazy at times to remove makeup and no thinking if they would work and just sit on the skin, but this aromatic cleansing balm, infused with 4 botanical ingredients just glides and absorbs into your skin, helping to lift the days impurities, whilst nourishing your skin thanks to its light milky emulsion when washed off which left my skin feeling uber smoother and looking radiant. 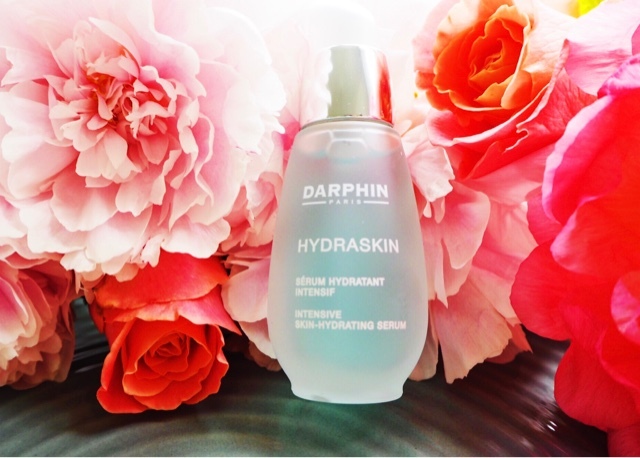 Next up was the Hydraskin Intensive Moisturising Serum, now my skin has been feeling a bit dry, down to this weather that we have been having don't get me wrong, crazy loving this heatwave we have been having, but it has been drying my skin out at night. So this serum is perfect for injecting back some much needed NOTICEABLE hydration into my parched skin, after a dry nights sleep. Before makeup application I reached for the Hydraskin Light Gel Cream, now this little beauty is gorgeous, not can you just feel the results but you see it. My skin can be a bit red at times, but the gel cream instantly soothes and calms and left my face feeling refreshed and re-energised and felt ready to conquer the day, helping to reduce the redness. 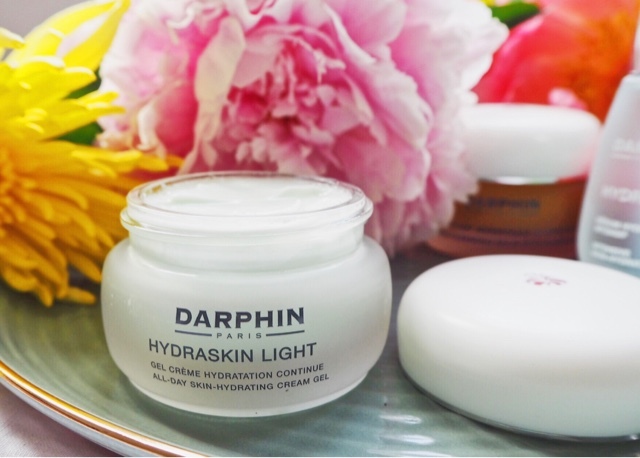 The Hydraskin Light Gel Cream is perfect for those with normal to combination skin, or for those dry nights boosting back hydration into your skin day after day and trust me a little goes a long way. The real magic starts at night! 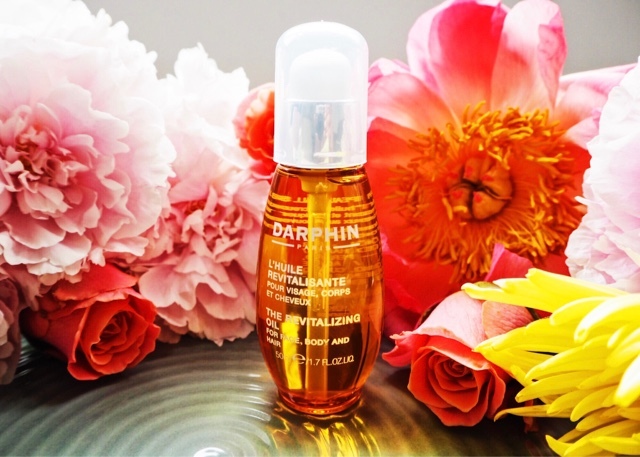 A true pampering indulgence starts off with Darphin's Revitalising Oil For Face, Body & Hair. This beautifully crafted blend of plant and essentials oils is super luxurious and will leave your body feeling like a million bucks and help soothe you into a blissful nights sleep. Whilst I am yet to use it on my face or hair I don't mind allowing my body absorbing the bottle. You know I am a major fan of oils, so super excited like an eager beaver to get out of the bath, oil up with the above and a pour a few delicate drops of the Chamomile Aromatic Care into my hands, then warm up the oil by gently rubbing my hands together. I literally fall to my knees whilst inhaling the glorious intoxicating essential oil, not only did it leave me feeling calm and relaxed and ready for my slumber, but this too helped relieve and calm my blotchy red skin and noticed that over a period of time my skin looked my balanced and clear and woke up feeling better and more relaxed for it. So since sticking with Darphin for a few weeks, what do I think? Quite simply, move over you, French Ladies! This London Mumma is going to be clearing the stock of Darphins luxurious goodies and creating my own Darphin botanical garden in my home. 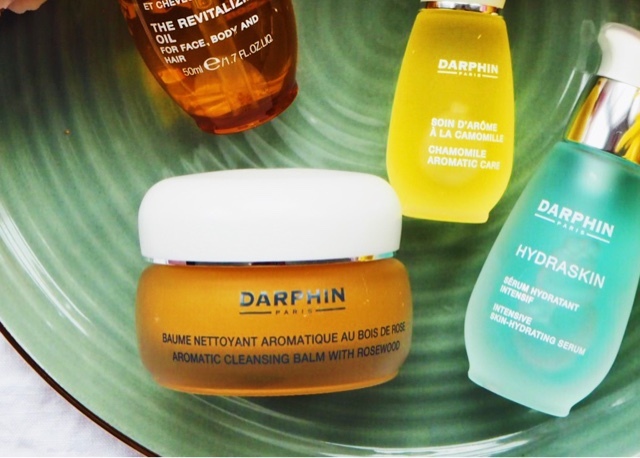 Also as a fab little treat, Darphin are offering you beauties 15% any Darphin product over on their website which you can find here, with the code liveparisan.